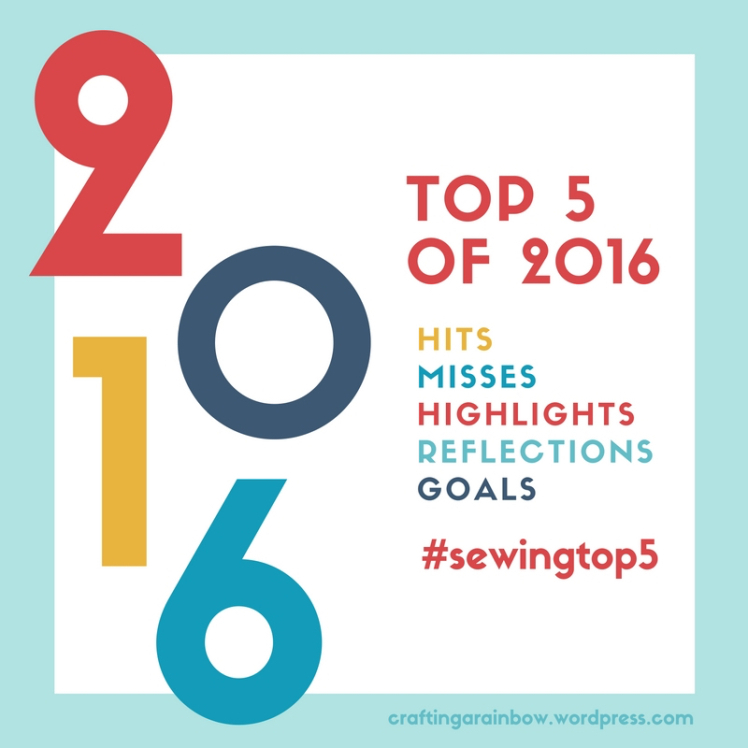 Well, since I've hardly been blogging this year, I'm going to jump back in with Gillian of Crafting a Rainbow's Top Fives project. For my first post, I'm combing my hits and misses. As for the hits, even though I didn't really sew all that much this year, I made some wonderful pieces. My favourites, as usual, are mostly dresses! These are all pieces that I've worn a lot and feel comfortable in, both for their fit and their style. Some were learning experiences that went well, some were easy makes that I immediately loved. 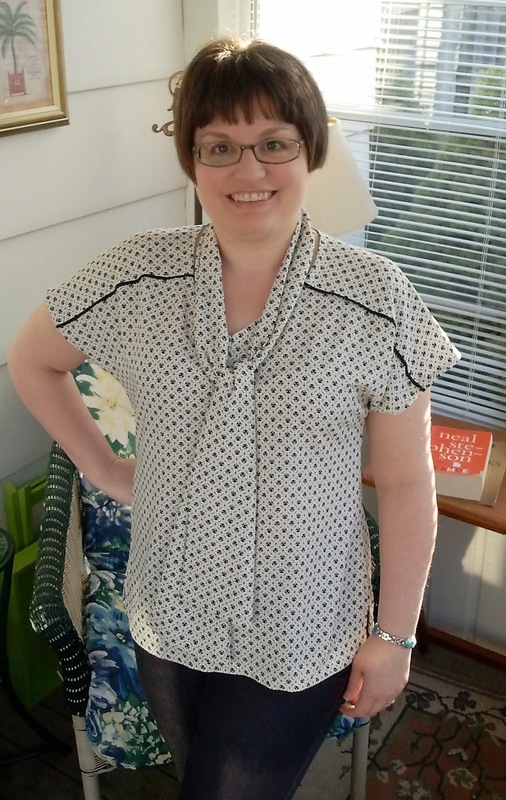 McCalls 7351 - my first shirtdress! As for misses, well, I've documented a couple of disasters this year. My attempt at the Sew House Seven Mississippi Top was not a success, partly because of fabric and partly because the style didn't suit me. That was quickly followed up by the debacle of McCalls 7115, an oversize dress that looked terrible on me & went straight to the upcycle pile. And then, there was my next dress project, Vogue 1499, which I tried making from a beautiful rayon challis but which was the third cursed project in a row and I couldn't even take photos I was so bummed by it. Because of the fabric it's also in the upcycle pile now. The 'miss' that isn't terrible but that I just have not worn more than once is my Simplicity 1317 luxe sweatshirt. It's just not really my style at all. Plus the gathers at the front neckband make me nuts. And lastly, the only other real "miss" of the year is the fact that I hardly did any sewing, relatively speaking. Busy days at work, lots of extra projects, and a lengthy loss of sewjo really affected my sewing this year. While my own life was pretty average and stable, world events really exhausted me and reduced my motivation for much of the year. And I miss it! 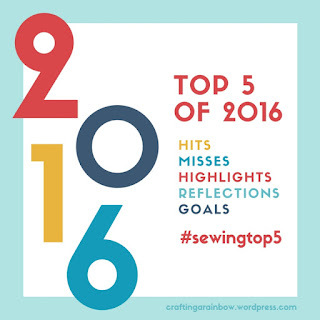 Hopefully I won't have the same missing sewjo in 2017. And that there will be even more hits in the new year. 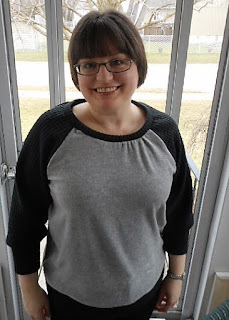 Thank you Gillian - and thanks for always inspiring sewing bloggers with all your makes and your blogging help! That's a high proportion of hits. Looking forward to reading your posts again in 2017. Thinking of it that way, for the little I did make, I did get a lot of hits! Thanks! Your ratio of hits to misses is astounding, whether you did a lot of sewing or not. Congrats on such a great year! I like that perspective Rhonda - thanks for always being so positive and encouraging! 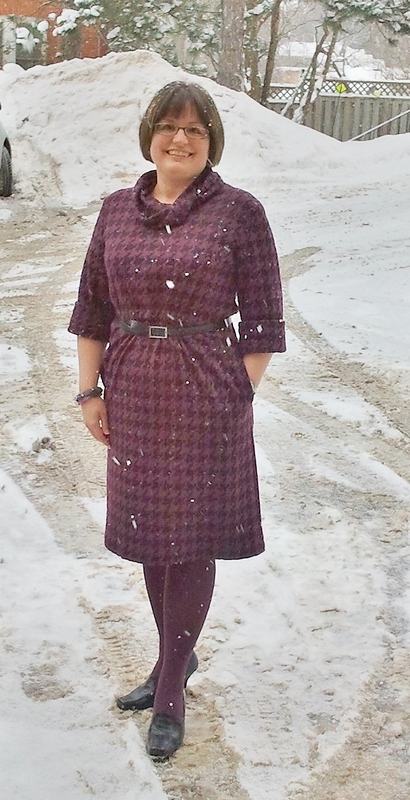 Thanks Catherine - I really do want to try a few more shirtdress patterns in 2017. I wear those 2 a lot. I love your dresses! They are definite hits! Happy New Year Melwyk!